$164. The medium-sized Castle will let your attendees have a royal bouncing time in this bright and happy bounce house. 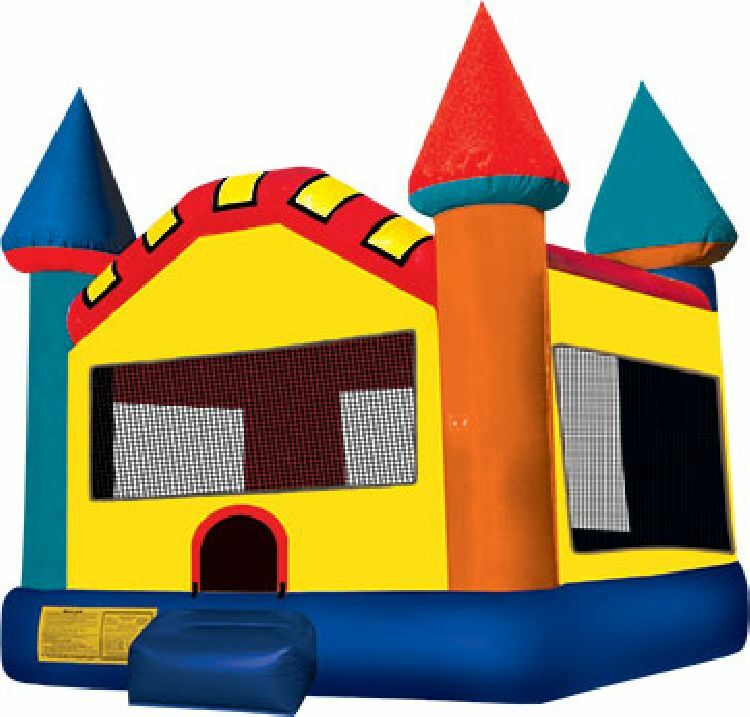 Little princes and princesses will rule in this brilliantly-colored castle with hues of orange, blue, red, green and yellow, perfect to suit any party theme, or to stand out during a busy event.. This easy-to-inflate bounce house is a great way to promote safe exercise and healthy activity for kids.